The Hugo Boss 'Grid' ballpoint pen combines a classic ballpoint and a soft rubber stylus suitable for touchscreen electronic devices. The stylus sits on the cap of the pen. The cap is engraved with an attractive and tactile grid pattern and rotates to extend and retract the ballpoint. 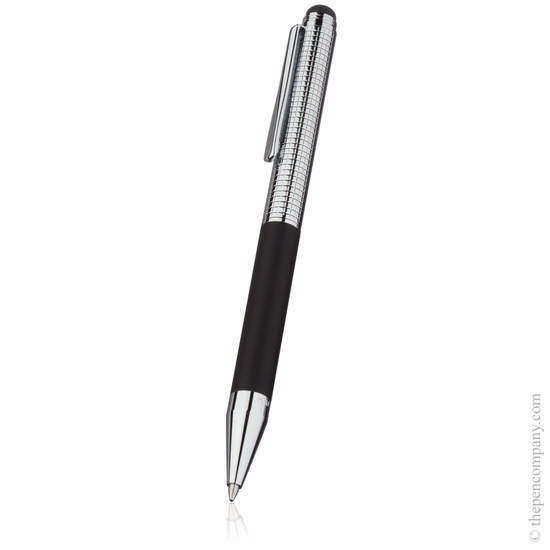 The grip of the pen is matte black and is combined with either chrome or dark chrome. Accepts standard G2 ballpoint refills and comes ready to write with a blue refill. 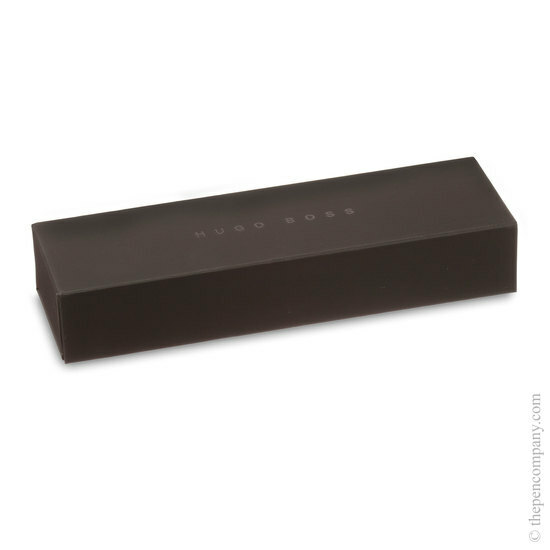 Presented in a matte black Hugo Boss box.